Wincanton Racecourse is in the top 11 to visit in England and Wales! 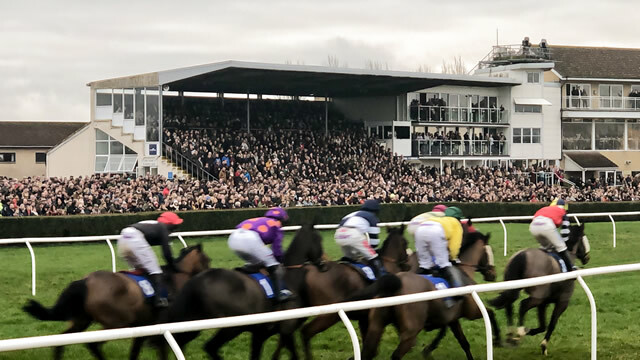 Wincanton Racecourse has been confirmed as one of the top 11 racecourses to visit in England and Wales by national tourist board VisitEngland as part of the Racecourse Association’s (RCA) Quality Assured Racecourse Scheme (QARS). In 2018, the RCA’s QARS once again saw all British racecourses accredited as ‘good’ or better, as the average score increased to 83%. This score is the highest on record for the scheme, indicative of the continued investment in the raceday experience by British Racecourses. Each racecourse is visited by a trained assessor from VisitEngland whose job is to objectively assess the raceday experience. This assessment includes all customer touchpoints throughout the raceday and also comprises pre and post event information. VisitEngland, responsible for all assessments in England and Wales, confirmed the top 11 racecourses for raceday experience in 2018, in alphabetical order, were: Aintree, Ascot, Beverley, Cheltenham, Chester, Newbury, Newmarket (July), Ripon, Uttoxeter, Wincanton and York. The benchmark score to be included in this prestigious company was 88%. “Our research shows that people want to visit our globally renowned racecourses with their historical pedigree and atmospheric race-day experience. The RCA Excellence accolades reinforce what people already know, that a day at the races in England and Wales is a world-class day out.